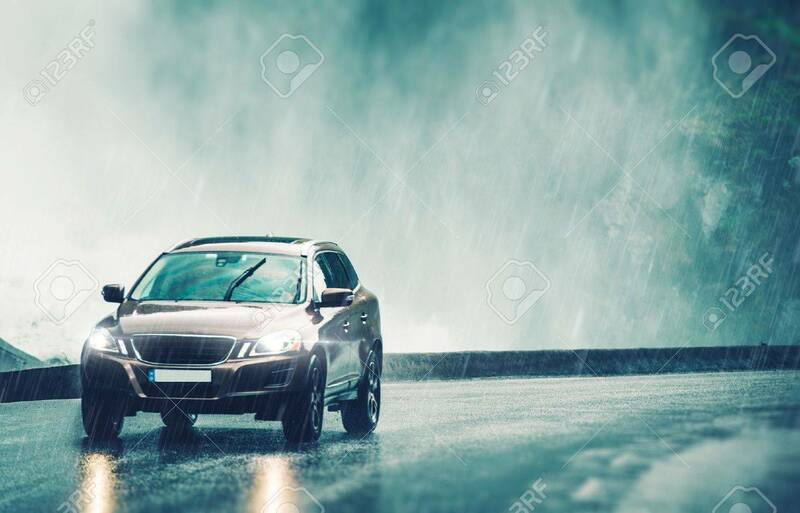 Driving Car In Heavy Rain. Modern Compact SUV Car Speeding On The Wet Road. Royalty Free Fotografie A Reklamní Fotografie. Image 62488305. Reklamní fotografie - Driving Car in Heavy Rain. Modern Compact SUV Car Speeding on the Wet Road. Driving Car in Heavy Rain. Modern Compact SUV Car Speeding on the Wet Road.